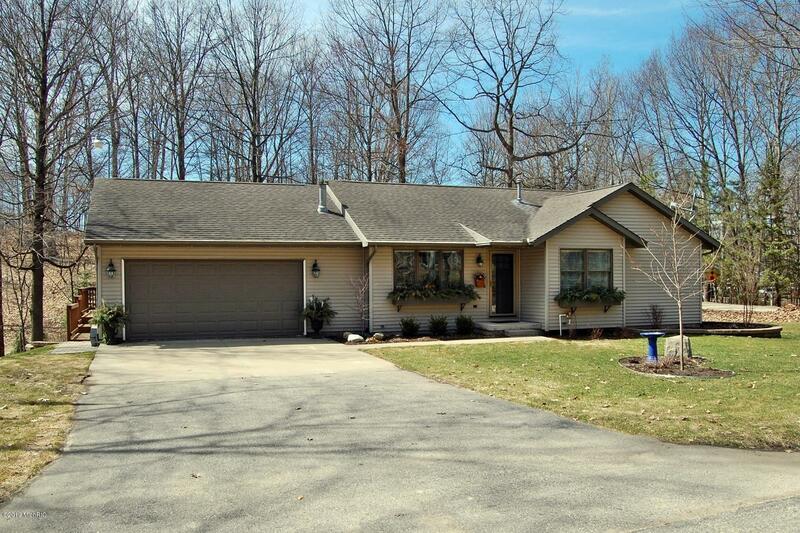 Totally and beautifully remodeled, Great location, docking access on Lake Mecosta, this home is ready for you! 3 bedroom 3 full baths and tons of updates including new kitchen cabinets, fingerprint resistant appliances, quartz counter top, new flooring throughout home, floor molding, laundry room, and additional bedroom suite with a walk-in cedar closet. Exterior new features offer redesigned landscaping and commercial blocked walls, sprinkler system, lower level patio, new garage door, and a custom built shed. House is wired for whole house generator, 750 watt generator provide with home. Lake Mecosta is part of the Tri Lakes waterways. Tullymore and St Ives golf resorts are a short distance away and several restaurants to enjoy. This home is a must see, Call Today for a private tour!